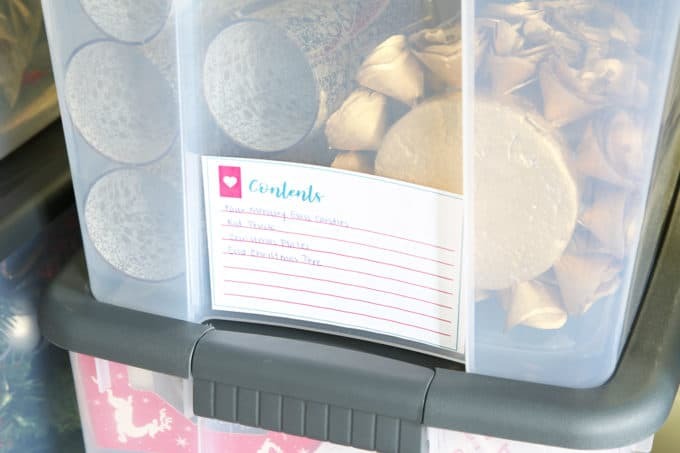 In this article: Christmas organization tips, small space Christmas decor, and diy Christmas gift ideas are shared in this interview with blogger Abby. 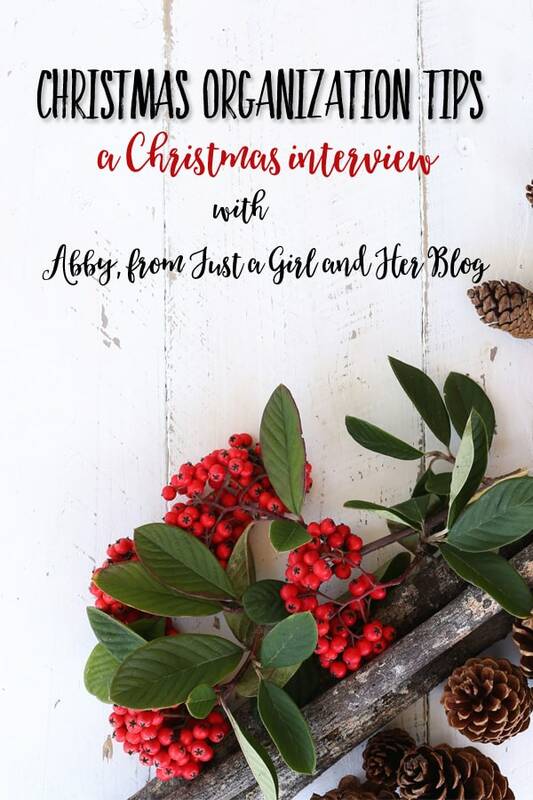 When I was dreaming up this year’s Homemade Christmas series, I knew I wanted to include interviews with other ladies. Just like I used to call up my mom with all kinds of questions (and learn from her! ), I wanted to hear practical ways other people handle the challenges of creating Christmas memories in the home. I was beyond thrilled when Abby agreed to be my first special guest. Her organization, decorating, and blogging talent is an inspiration to me. Much of this Christmas conversation centers around organization tips, but she also gives a ton of other great ideas and words of wisdom, too. Let’s get started! Although I’ve been reading your blog for years, some readers may not have met you yet. Could you briefly introduce yourself and what you blog about? 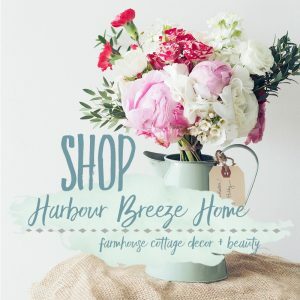 My name is Abby Lawson, and I blog about organization and home decor at Just a Girl and Her Blog. I also have a shop of organizing tools and a YouTube channel called Abby Organizes, where I dive a little deeper into organization. I live in Pittsburgh, Pennsylvania with my brilliant husband Donnie (who also happens to be my business partner!) and our two cute sons, Connor and Caleb. Does organizing come naturally to you? How did you grow your organizational skills? I always say that my personality is an oxymoron because on one hand, I’m really type A. I like things to be in order, but I also have a creative side that causes me to be pretty scatterbrained. I started to get into organizing to try to help “tame” my scatterbrained side by implementing systems and strategies that help streamline our home and our family’s schedule. Organization is always a work in progress around here. Our house isn’t always perfectly tidy (Is that even possible with two crazy boys running around?! ), but we’re always working to improve our systems and streamline things so that our home is beautiful, live-able, and really functional at the same time. I believe that one of the ways to relieve stress that sometimes accompanies Christmas is to set specific boundaries and goals around it. How does organization play a part in doing that? And where does a person start in trying to get organized for the holidays? I agree! I think it’s really tempting to try to do alllllllll of the Christmas things every year in the name of making memories or trying not to disappoint family members and friends, but that can be a recipe for a few months of major stress! I think the key is planning ahead as much as possible and prioritizing, doing the things that you love and that are meaningful and being willing to say “no” to the rest. One of my favorite parts of Christmas is the decorations. With all the options of decor available, how do you go about choosing what theme and type of Christmas decor you’ll use each year? And, do you re-use some items year after year? I basically have a set of red Christmas decor and a set of neutral Christmas decor and use one or the other as my “base” for my home’s holiday look each year. I will pick up a few additional things to decorate with every year, but I also try to get rid of anything I know I won’t be using in future years. Trying to adhere to the “one in, one out” rule helps to keep my Christmas stash from being overwhelming while still giving me options and allowing me to have fun with my holiday decor! As a blogger, I sometimes feel incredibly stressed trying to complete “Pinterest worthy” projects with stunning pictures and captions. Can you give some advice on the issue of comparison and just “being yourself” when it comes to creating Christmas in the home? The comparison game is SO tough– I know I get sucked into it all too often. When I find myself wandering down that path, I try to remind myself whose opinion and input really matters. For me, my highest priority at Christmas needs to be celebrating the birth of Christ, the most incredible gift God gave us. I can recognize that God gave me certain gifts, talents, and abilities, and I can do my best to share those with the world while at the same time appreciating and celebrating the gifts He has given others, rather than resenting them or comparing myself to them. Then, my family’s input matters. They live here too, and the whole reason I love to decorate and create a beautiful home is so they can enjoy it, and so that it can become a backdrop for years of fun memories and a place to welcome friends and family. If I have accomplished those few aims, then I consider our Christmas a success, no matter what is happening on Pinterest! We recently moved from a house to a townhouse, and I know you used to live in a townhouse, too. 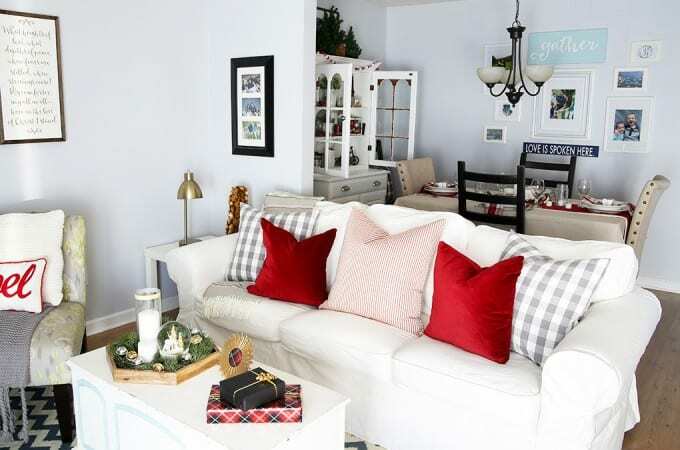 (I’ve studied the pictures of yours many times…) Do you have any tips for decorating a smaller space for Christmas? 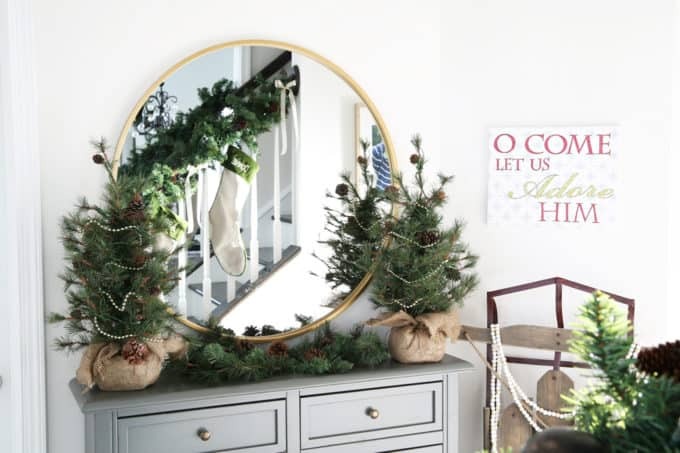 I also had a few designated areas that I would decorate for each season, like a set of floating shelves in the living room and a hutch in the dining room. 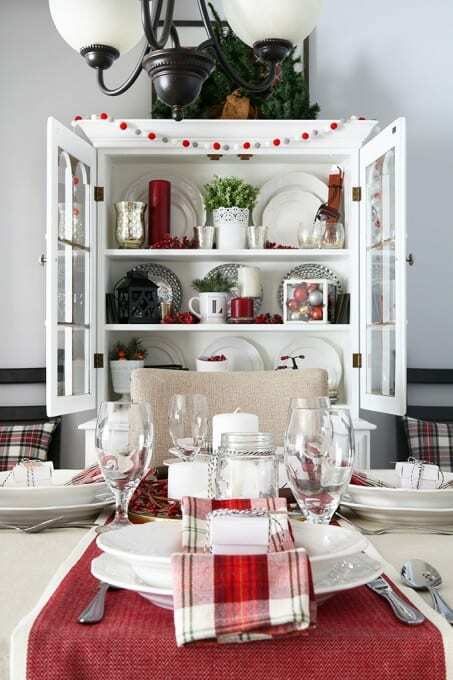 This allowed me to add seasonal touches without cluttering up the main part of the already small space with extra stuff. The nice thing about small spaces is that less is truly more. You don’t need a ton of stuff (or to spend a bunch of money) to make it look festive and make an impact. 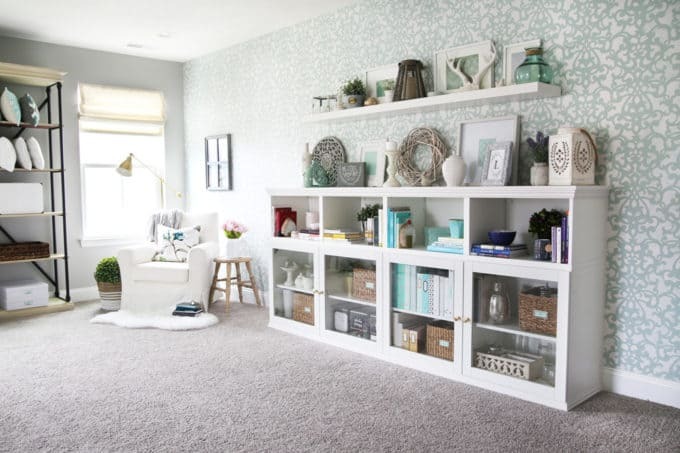 What tips would you give for storing seasonal decor in a smaller home? I tried to be really choosy about my decor and really only keep things that I truly love. I knew exactly how much space/how many bins I had to store my Christmas decor and I limited myself to what I could fit in those spaces. This helped me be more discerning when I was at the store because I knew that whatever I brought in would have to fit in the designated area or I would have to get rid of something else. As a result, I ended up with a smaller collection of decor that I truly loved, rather than a large collection of stuff that was just okay. I admit, my baked cranberries started fires in my oven on Christmas day ~ twice!! Do you have any Christmas bloopers (you’re willing to share;))? Last year was our first year putting our Christmas tree in our sunroom, and it was a new tree for us. I set it all up, got it all decorated and was putting on the final touches when the tree completely fell over! Several bulbs smashed, things got all discombobulated, and I had to set it up again and re-adjust everything. It turns out that I hadn’t set up the stand exactly right, so I was sure to fix that so we didn’t have a “TIMBER!” moment again! Favorite gift you ever received: Well, I got married two days before Christmas, so I would have to say my husband. 🙂 You can read the story of our Christmas wedding here. Favorite teacher or neighbor gift idea:This milk bottle teacher gift is easy and festive at the same time! Favorite family tradition for Christmas: We do an advent calendar every year, where we count down to Christmas, go through the Christmas story verse by verse, and get a little sweet at the same time! You can see some of our DIY advent calendars here and here. Favorite handmade gift idea: These monogrammed ornaments were a hit with our family a few years ago! Favorite Christmas recipe: I love peanut butter blossoms because my Grandma Helen always used to make them at Christmas time, and they remind me of her. 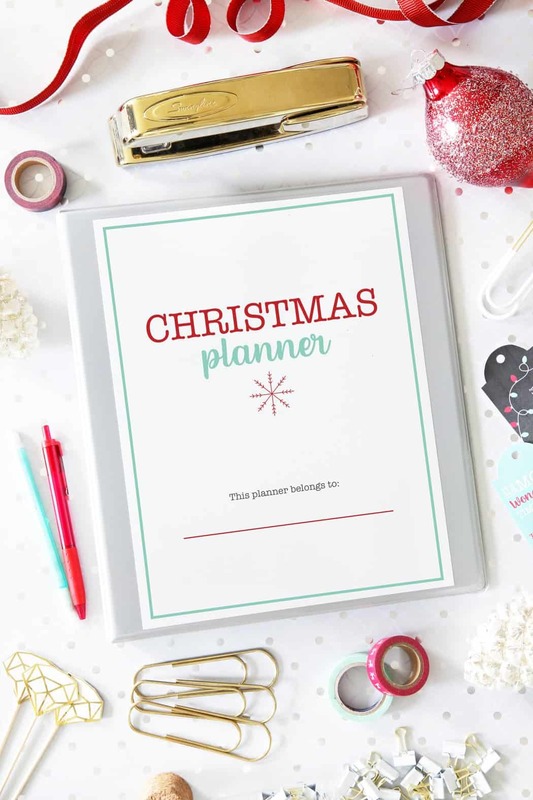 Abby has graciously offered to give one lucky winner a copy of her free printable Christmas planner. To enter, click here to enter the Instagram giveaway. Thank you, Abby, for answering all of my questions, and giving us such practical advice. This is just too sweet, I have been reading Abby’s blog for years as well! I like this neat little breakdown of everything, and her tips on organizing are always on point. Pinning! I love her tips, great job Rita. Pinned as well. Great idea for a post Rita and I love your interviewing style. Pinning! What a great interview Rita! 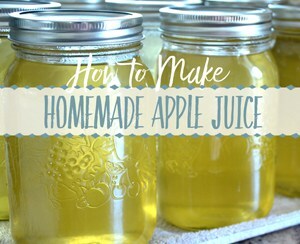 I have read Abby’s blog for a couple of years now and it was fun to read her tips! BTW your blog looks amazing!! What a great interview, Rita! 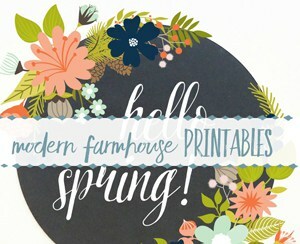 Abby is one of my fave bloggers, and is a wonderful woman, as well! Love that she centers her celebration around Christ our Savior! What a good God we serve!